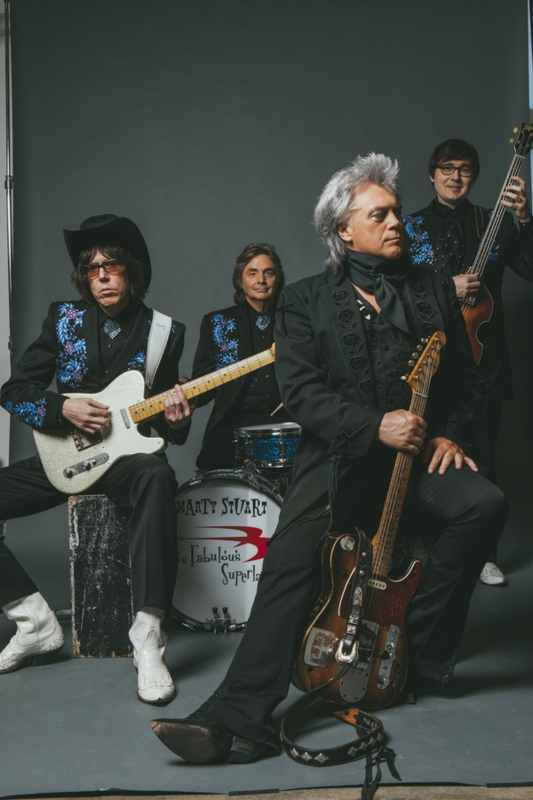 Marty Stuart released Way Out West on Superlatone on March 10, 2017, and MOJO named it one of their “Best Americana Albums of 2017.” The album was conceived as a love letter to the promised land of California by one of Country music’s living legends, who has played with everyone from Johnny Cash to Lester Flatt. NPR Music proclaims: “Way Out West is Marty Stuart’s album-length paean to the myth and magic of the American West. It finds country’s stalwart neo-traditionalist turning cosmic cowboy for a journey through the Joshua trees, shadowy canyons and desert dreams that tantalize travelers with the promise of a golden shore on the other side.” Way Out West is available on CD, vinyl, and digitally here.